Monthie Mechanical Inc is proud to serve the Cynthiana community! About Cynthiana, KY - Happy to be your hometown Heating & Air Conditioning Contractor! Cynthiana is located in Harrison County, Kentucky along the banks of the Licking River in the central portion of the state. Situated approximately twenty-eight miles northeast of Lexington and sixty miles south of Cincinnati, Ohio, Cynthiana boasts a thriving agricultural and manufacturing economy that is boosted by the presence of industrial giants 3M and E.D. Bullard Company. Established in 1793 on property owned by Robert Harrison, Cynthiana was named for Harrison’s daughters, Cynthia and Anna. Cynthiana serves as the county seat for Harrison County and is home to a current population of approximately 18,000 residents who enjoy living in the U. S. transitional climate zone that brings long, hot summers and mild, cool winters to the area. 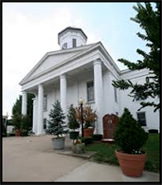 Cynthiana’s rich history is evidenced by the many historic buildings located in and around the town. The Old Log Courthouse, circa 1790, is the oldest structure in Cynthiana. Over the years, it has housed the law practice of Kentucky statesman, Henry Clay, and served as the publishing house for the Guardian of Liberty (the city’s first newspaper) and the publication, Guthrie’s Arithmetic. The Cynthia-Harrison County Museum features historical artifacts of the city of Cynthiana and surrounding Harrison County, as well as exhibits with artifacts from area Civil War battles and covered bridges. Quiet Trails State Nature Preserve, located approximately twenty minutes to the north of Cynthiana, features 165 acres of wilderness area that is perfect for hiking, birding, and nature study or photography. The preserve is home to a wide assortment of birds, trees, mussels, and wildflowers. Cynthiana’s pride in community is witnessed through the city’s excellent parks and recreational facilities, and the numerous festivals and events hosted by the city each year, such as the Cynthiana Art Walk and Raggedy Ann Festival, held each April and June, respectively. Cynthiana’s friendly residents and warm community spirit make Cynthiana a great place to live or visit!